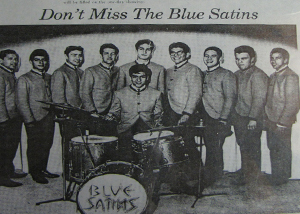 Featured article about Blue Satins. 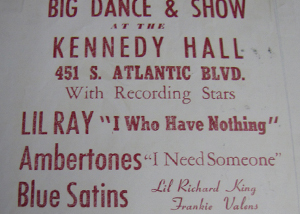 Big Dance and Show at the Kennedy Hall. Featuring Lil' Ray, Ambertones, Blue Satins, Thee Exciters, Counts and Endeavors.